The club guest list of known guests since its formation in 1964. Janet escapes from JigJaw to do a solo evening for us. 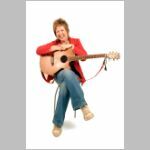 She combines songs of social comment with Scottish ballads and diddling (that’s mouth music to you). She can make you laugh or cry but you will be spellbound by her voice. She also has a new CD out called “Love songs and fighting talk”. Sorry, you have no audio support. Access to collection of music from guests and residents. Copyright © 2019 Black Diamond Folk Club. All Rights Reserved.